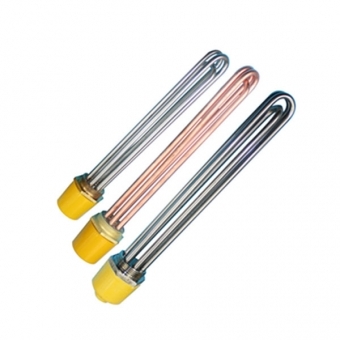 Electric Immersion Heater - Changzhou Sunnergy Energy Technology Co.,Ltd. Electric Screw Plug Immersion Boiler Heater, both round flange and square flange models are a great choice for applications requiring larger wattages. And they are are designed for installation into a pipe body, tank or pressure vessel using standard pipe size. They are easy to install, control and maintain, unique designer as your requirement. These heaters are available in a wide selection of rates, sizes and sheath materials suitable for the heating requirements of water, air and other gases. Flanged immersion heaters are very efficient since all energy that is generated is dissipated directly into the medium which is being heated.